Routine genomic testing is not far away, according to UTHealth scientists. They believe that there will come a day soon when your physician orders routine tests— cholesterol, glucose, and blood count—but they also order a sequence of your genome, all 3 billion base-pairs of it. 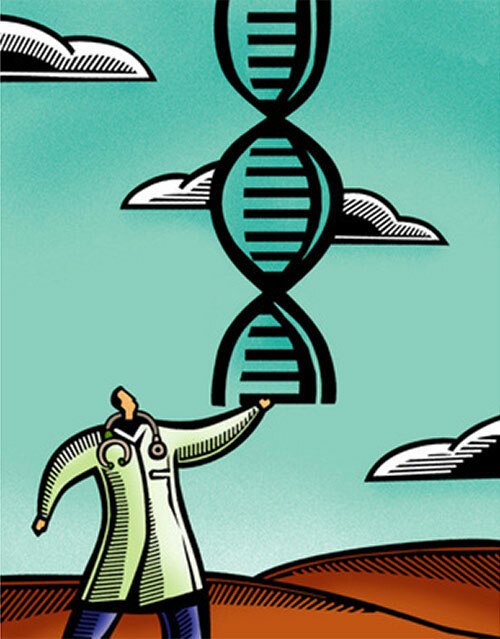 “Whole genome sequencing will become an integral part of routine medicine in the near future,” noted senior study investigator Eric Boerwinkle, Ph.D., dean and chair in human genetics at UTHealth School of Public Health. In the new paper, the UTHealth team sequenced the genomes of more than 3,000 people from the Atherosclerosis Risk in Communities (ARIC) study and analyzed multiple traits related to heart and blood disease. The framework that the scientists developed allowed them to examine different functional parts of the genome, including the genes that code for proteins and the portions of the genome that are used to control the expression of genes. “It allowed us to pull apart the different functional components of the genome, which we couldn't access before comprehensively,” explained lead study investigator Alanna Morrison, Ph.D., professor and chair of the department of epidemiology, human genetics, and environmental sciences at the School of Public Health. Through the framework, researchers were able to identify genes for blood lipid levels, white blood cell count, and levels of a molecule, troponin, which helps diagnose heart attacks. These new WGS approaches that the research team laid out for analysis led them to identify informative genomic regions, as well as defining noncoding regions, such as the first intron of genes and regulatory domains that are associated with significant risk factor phenotypes. This study highlights the controllable nature of WGS data and sketches out an approach for characterizing the genetic architecture of complex traits. “The important aspect of this work is that it provides practical steps for scientists and physicians to help analyze whole genome sequences to identify differences that may be increasing disease risk or protecting certain individuals from diseases such as diabetes, cancer, and heart disease,” concluded Dr. Morrison.